Storm damage: Avatar Restoration emergency response teams can accurately assess the damage and undertake the necessary repairs quickly and reliably. Depending on the severity of the loss, property security and safety should be of top concern. Storms can really damage a building and indirect damage due to bent electricity poles and fallen trees are even more dangerous. When a natural calamity like this strikes, you should never attempt to make repairs yourself. 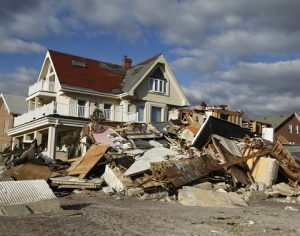 The sooner you call Avatar Restoration, the sooner we can assess the storm damage in your property and help you recover from the shock of having your home battered by a storm. Our professional emergency response team in Metro Atlanta Ga can accurately assess and repair all damage to your home, associated with a storm including the roof, structure, electrical, flooding and foundation issues. Fortunately, you can depend on Avatar Restoration to get you back to normal quickly after such a disaster. If your home has suffered storm damage, an immediate assessment is vital. Heavy rain and high winds can knock down trees and utility poles, causing flooding, structural damage, and even fires; Avatar Storm Damage Atlanta team will help you recover your property back to normal.